Cochin, the confluence point of the alluring Arabian Sea and the Silent Backwater, will be your host for the day. With your arrival in this pictorial port-city, you will be warmly greeted by our representatives. Hereafter, you will be checked-in into a hotel, where you can unwind, relax and get freshened up. Though a metropolis, Cochin still holds strong to its roots and cultures. To witness and enjoy the many different facets of Cochin, you will be taken to a cultural show in the evening, where you can enjoy Kathakali dance performance by local artists. Post this lively and vibrant show, you will be guided back to the hotel for your overnight stay. Today morning, after having breakfast, you will be checked-out from the hotel and driven towards the hill station of Munnar. Cossetted by lush greeneries, guarded by captivating hills and mountains, and fringed with never-ending tea plantations, Munnar is also known as the ‘Nature Lover’s Paradise’ and will surely hold you captive throughout your stay. Arriving in this hilly retreat, you will be checked-in into a hotel or a resort; overnight stay in the hotel/resort..
Today, you will be introduced with the enchanting beauty of Munnar! Following your breakfast at the hotel/resort, you will be embarking on a full day excursion and sightseeing around this gorgeous hill station. During the day, you will be taken to tourist spots like Matuppetty, Echo Point, Gundala Lake, Photo Point and Rajamalai National Park followed by several other destinations. The day also includes a visit to spice plantations, Tata Tea Museum, Blossom Hydel Park, Headworks Dam, Elephant Arrival Spot and Pothamedu View Point from where you can enjoy amazing sunset views. With the completion of all these visits, you will be guided back to the hotel; for your overnight stay. Waking up in the morning, enjoy a delicious breakfast while adoring the pristine beauty of Munnar! Post this, pack your bags as you will be checked-out from the hotel/resort followed by a drive to Thekkady, the home to Periyar National Park. Arriving in Thekkady, you will be checked-in into a hotel/resort; settle down in your new abode and get ready to discover the alluring charm and appeal of this picturesque tourist town. Post this, you will be taken for a guided tribal tour to a nearby village, plantation tours and finally for an evening boat ride to Periyar National Park. After returning to hotel, you can spend the evening at leisure or can opt for local shopping in Thekkady; overnight stay at the hotel/resort. after having breakfast at the Thekkady hotel/resort, you will be driven towards Alleppey or the ‘Backwater Capital of Kerala. 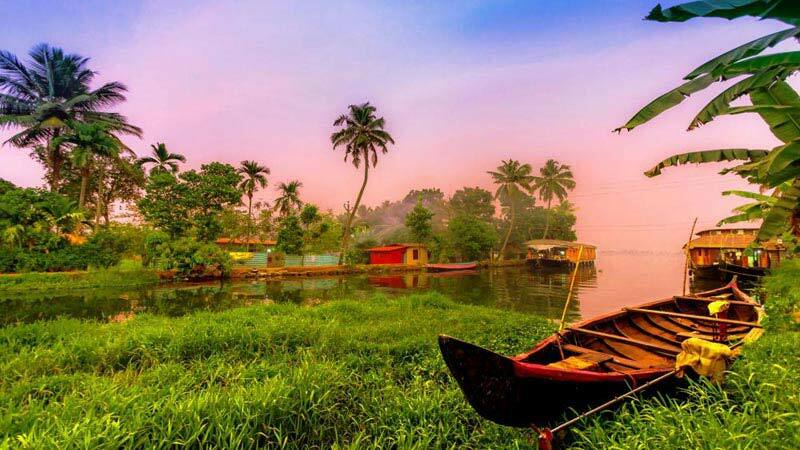 Known for its enchanting backwaters, snake boat races, gurgling canals, lush greeneries and much more, Alleppey is also known as ‘Alappuzha’ or the ‘Venice of the East’. 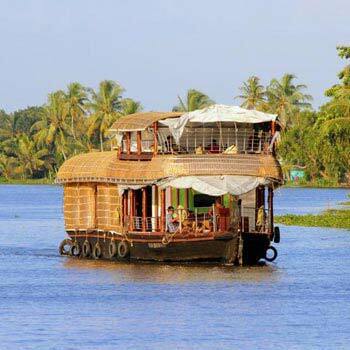 Arriving in this backwater destination, you will be checked-in into an exciting houseboat. Get freshened up and utilise the heart-warming facilities and amenities within your stay. 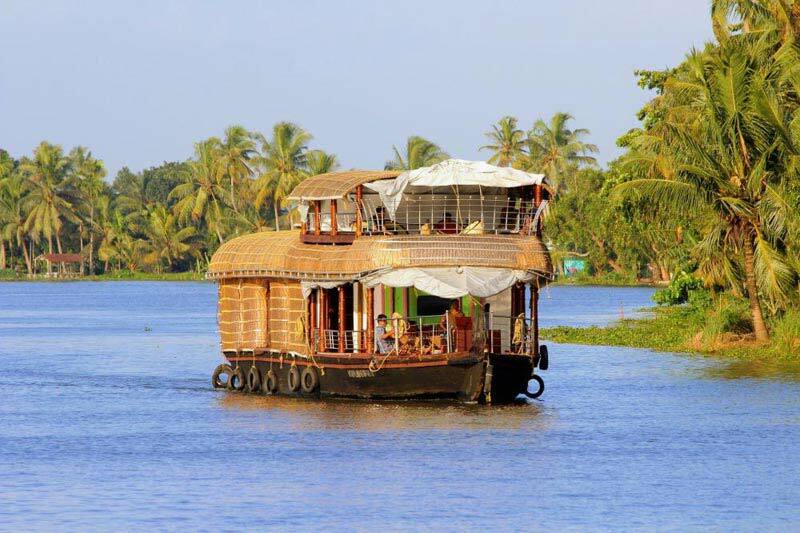 Post this, cruise through the backwater, discover the swaying beauty of the narrow canals, verdant paddy fields, coconut lagoons and coir villages; overnight stay will be in the houseboat.